Commercial Wash Systems from Transport Wash Systems. Automating laborious tasks makes sense, but not every transport operator has enough vehicles to justify owning a wash system. This is partially what makes a commercial truck wash a great business. 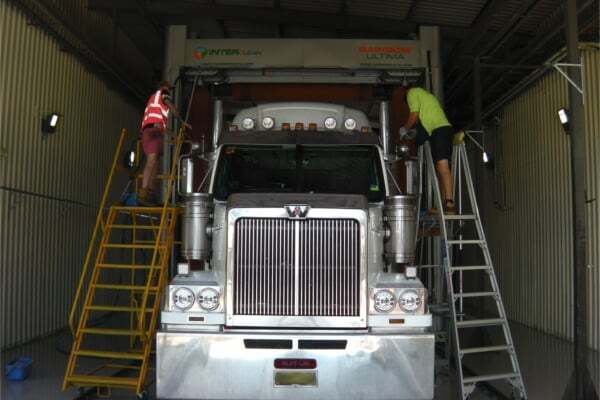 Install a commercial truck wash and, for a fraction of the cost of washing by hand, you can offer truck operators and drivers in your area the ability to have their trucks cleaned in minutes, not hours. Washing vehicles by hand is often a burden on drivers who would be better of at home, resting, preparing for another safer day behind the wheel. Not only this, but slips, trips and falls are common when washing heavy vehicles by hand. Why not eliminate these hazards by automating the process. Your customers can spend less time washing their trucks and more time relaxing with their families. 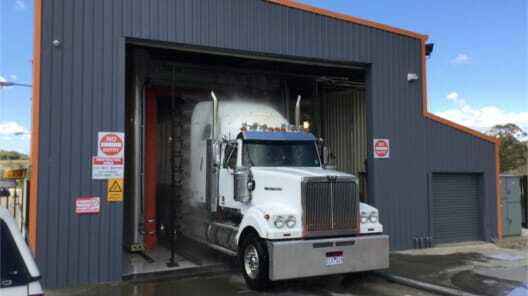 This truck wash facility was set up in 2008 and caters to the many trucks in Gisborne. It puts through 250 to 300 trucks per week as a standalone unit with no full time staff. 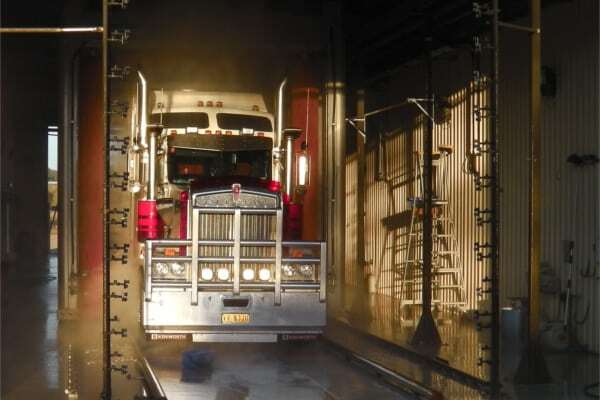 Trucks are washed in four to eight minutes allowing the East Coast truckies to get back on the road or get some much needed rest rather than spending their time washing trucks. The system recycles a huge percentage of water per wash (around 80%). On Friday afternoons and Saturday mornings there is often a large queue of vehicles keen to be washed. Because of the speed of the truck wash this queue is put through quickly so drivers are happy to wait a few minutes during peak hours. The project began as a manual truck wash facility utilizing high volume firehoses, soap guns and waterblasters. It now has one manual wash lane and one automated wash lane. Drivers who prefer to have the chrome gleaming and details scrubbed will go through the automated lane to get the bulk of the work done before entering the manual lane to do the final detailing by hand. Others simply run through the automated wash lane and head on their way. Eastland Truckwash has been a worthwhile investment and provides a much needed facility in the region. If you would like to visit then give us a call. Eastland Truckwash is where Tranzwash International began. 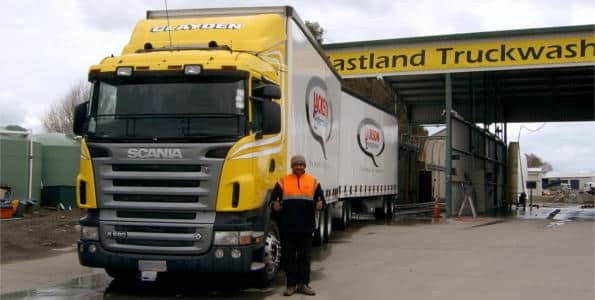 It is our desire to make the value of automated washing that we have experienced at Eastland Truckwash available throughout Australia and New Zealand. The system is a mixture of InterClean equipment and a Tammermatic Ultima Gantry unit as well as the hand detailing skills of their onsite truck washing team. This results in a professional, hand-wash quality finish, in a shorter time so you can get back on the road.